Villfuk 02 wrote: I think it would look really cool, if you made resources collected from miners and farms travel trough the network into the storages. For example little balls, like when antivirus spreads trough the network. You also could do this with programs travelling from the compiler into the program library. I think this would look REALLY nice and bring a little bit of life into your network. Networks are for sending things between the nodes, so why not send something along the connections? That'd be nice but if resources traveled like that then resources collection would have to be either automatic (no more storing res into mines/farms but immediately send them to storage as they're produced) or gradual as in when you tap on the mine/farm you'll see them send res in pulses to storage gradually emptying their pools. Nice ideas about resources travelling thorough the network both ways when storing and stealing. I already made a thrend for this. I guess it was forgotten. Taiwei wrote: I already made a thrend for this. I guess it was forgotten. Maybe if it was in the correct thread? Haha, just kidding, I added it to the list ages ago. Official response is while this is doable, it is not so much about animations, but about materials/polygon count. While I personally think this would look pretty sweet, there are a LOT of other considerations (such as compatibility on slower devices, material counts mentioned above etc,) which make this addition unlikely. Sorry. Get rid of the limits around number of types of nodes. Anyone should be allowed to build a base of all turrets if they want to ... and instead make the node limit higher and make each type of node use up a certain amount towards the limit..
Why couldnt there be a live play mode? Wasn't sure where to put it but since the program section has only new programs suggested i'll post it here. So why not add shocher an EMP Damage Property that damages guardian shields. Also if shields are taken down by shocker the node will still be stunned for 50% the normal stun time. As for EMP Damage values i was thinking about 50% the shields of guardian of same lvl. Will be implemented friends system? If yes, what's the status of implementation? If it's not done yet, could you please add possibility to just watch the progress of building our friends? There can be a button to switch off animation as well =P. 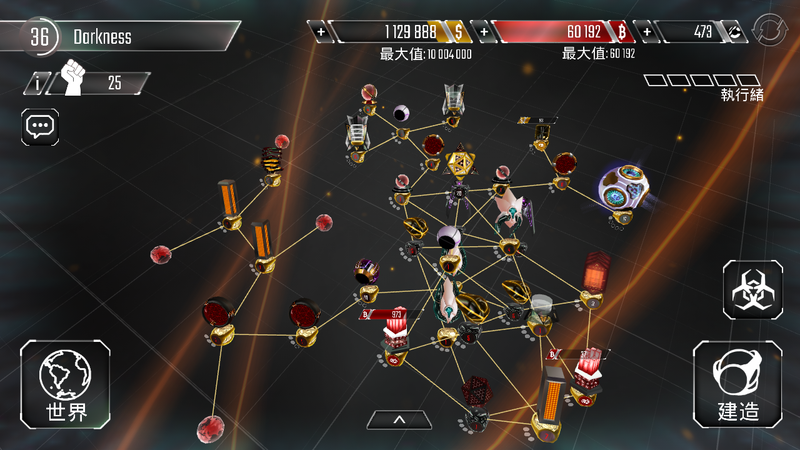 I also suggest to have a Practice mode where we can try to hack our own network in Practice mode with any programs you wish to use without time waiting for it to generate. Therefore, we can know what the weakness of our base is. =P And higher defensive rate of successful defending.